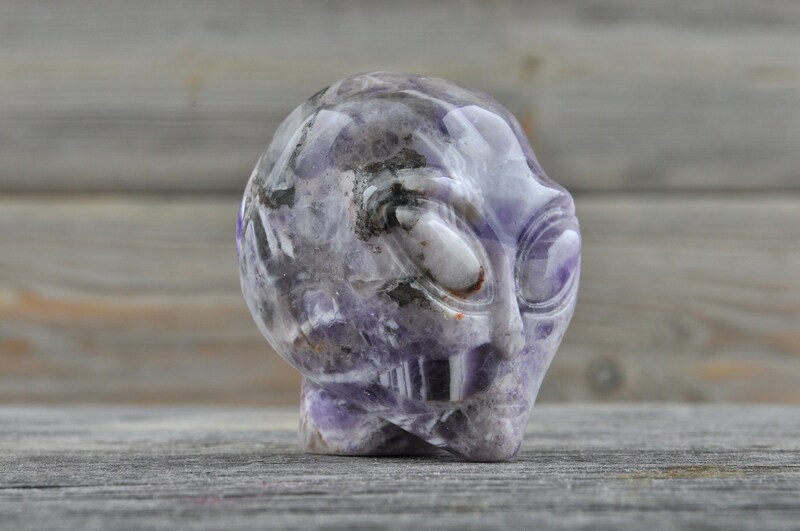 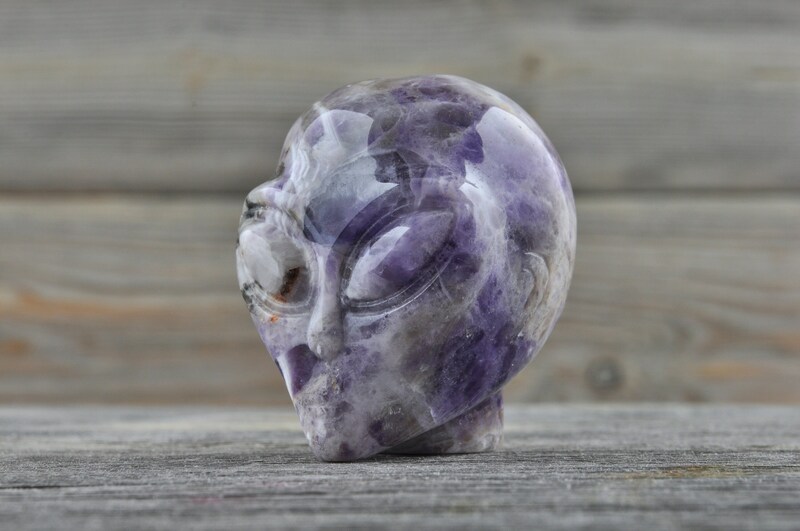 Natural Realistic Chevron Amethyst Alien Crystal Skull, Mini! 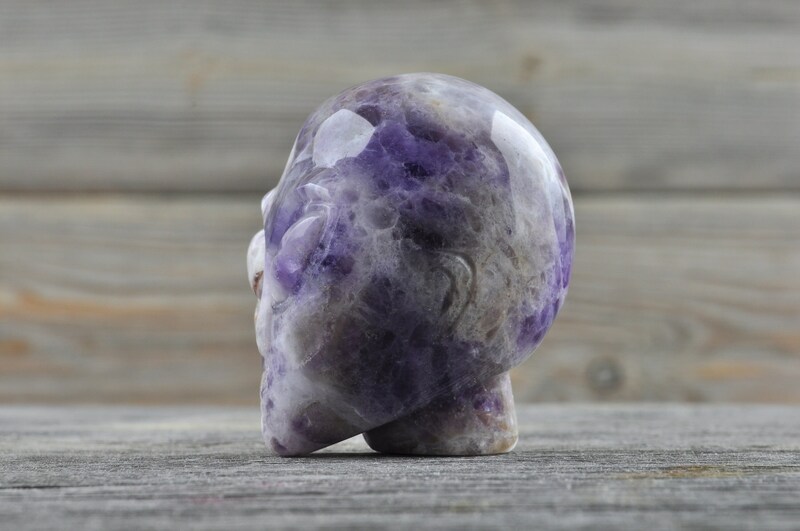 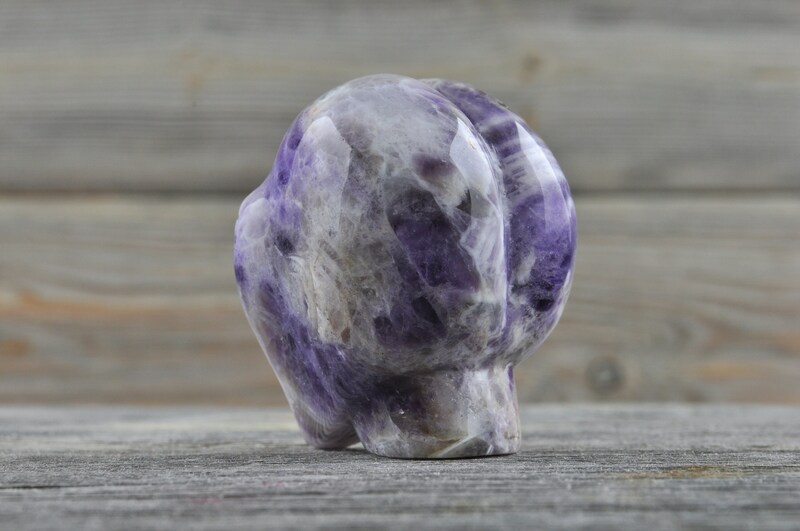 Beautiful, realistic natural Chevron Amethyst skull. 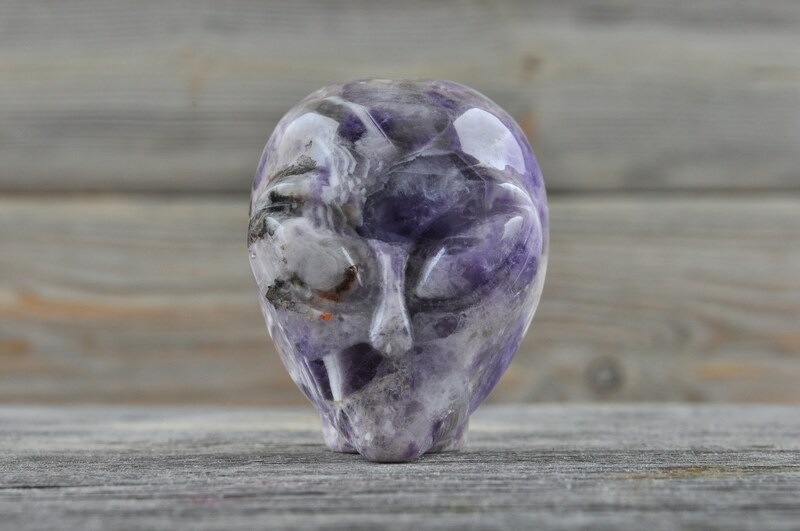 What a lovely unique skull!! 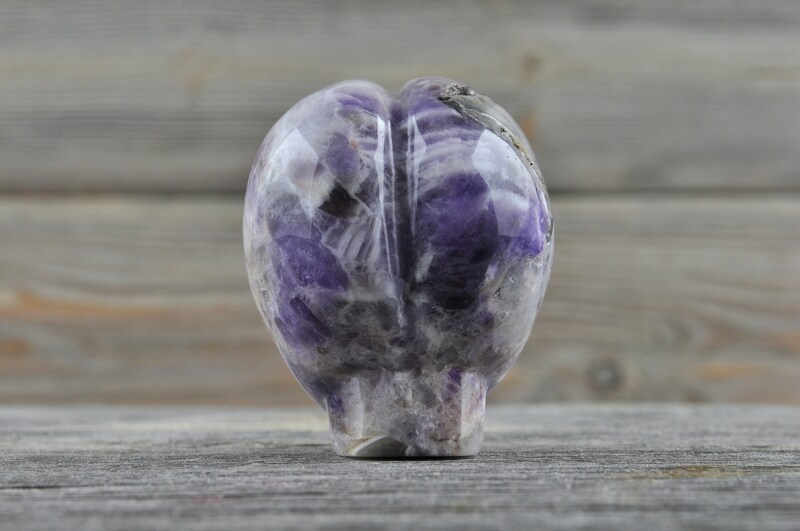 Amethyst is still a remarkable stone of spirituality and contentment, known for its metaphysical abilities to still the mind and inspire an enhanced meditative state. 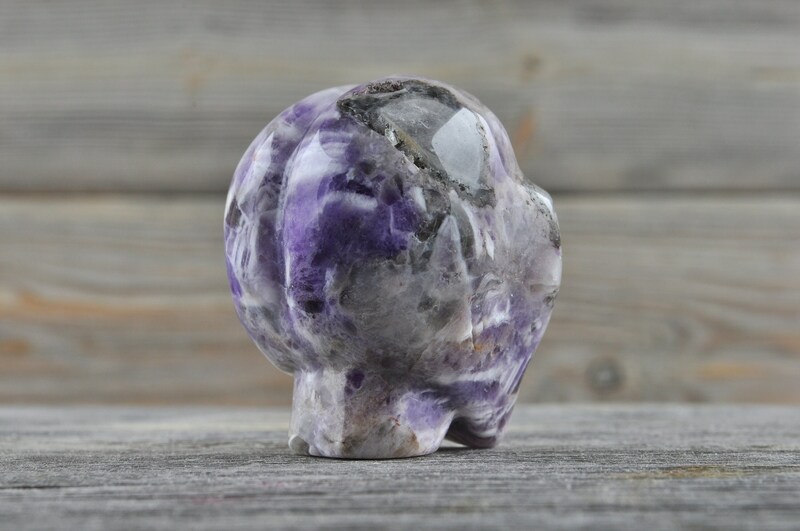 Its inherent high frequency purifies the aura of any negative energy or attachments, and creates a protective shield of Light around the body, allowing one to remain clear and centered while opening to spiritual direction. 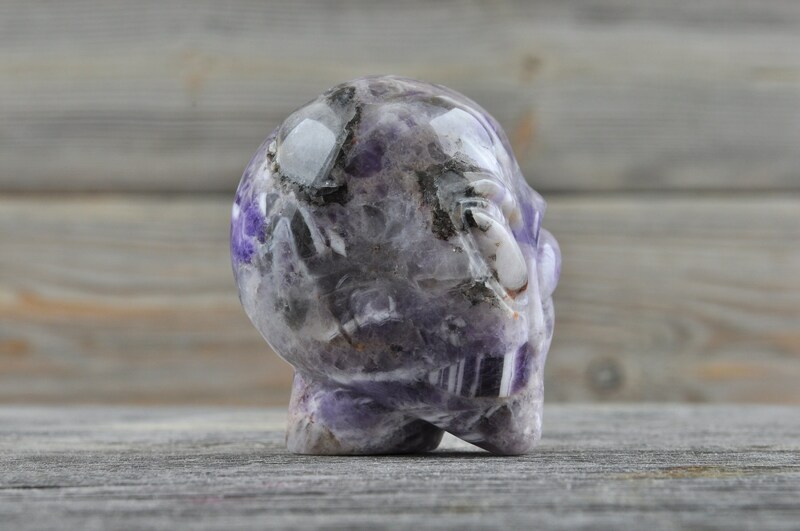 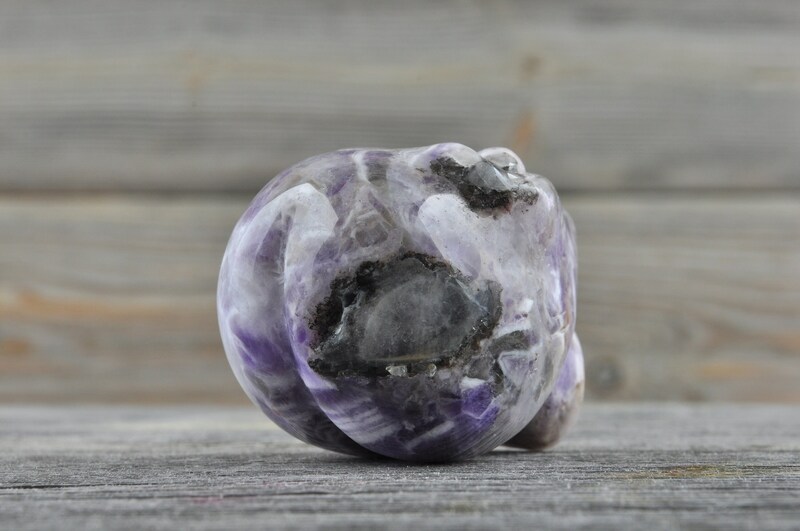 Amethyst stimulates the Third Eye, Crown and Etheric Chakras enhancing cognitive perception as well as accelerating the development of intuitive and psychic ability. 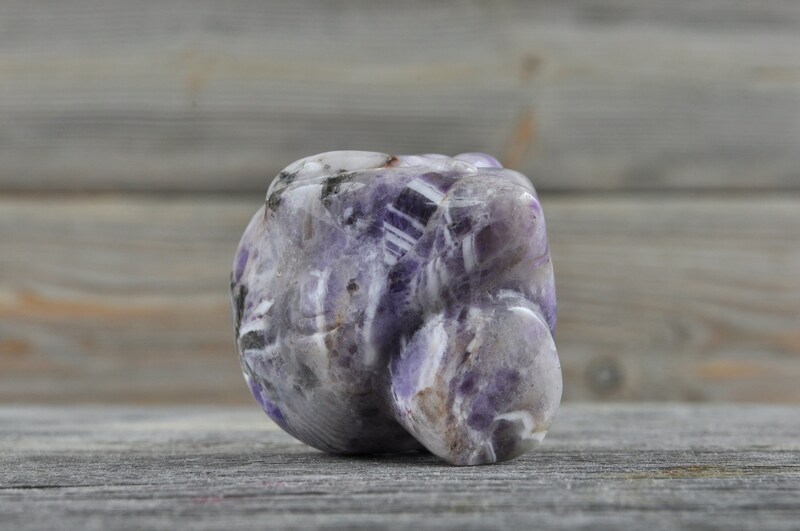 It initiates wisdom and greater understanding, and is a stone of comfort for those grieving the loss of a loved one.